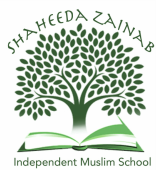 Shaheeda Zainab Muslim Independent Primary School is Dublin's first Muslim Private School which started operations in 2014. At Shaheeda Zainab School we balance our curriculum between Islamic & Quran studies and Irish National Curriculum. To provide a comprehensive Islamic Religious and Curricular Studies to an exceptional Islamic Standard with an environment suitable to any child irrespective of race, origin or background at an affordable fee that ensures and reflects the Islamic nature of the school. Applications for our Junior Infant Class for 2018/19 are now open. Please visit the Applications Page and apply online today. Limited places available.